Ships tomorrow if you order in the next 17 hours 40 minutes. 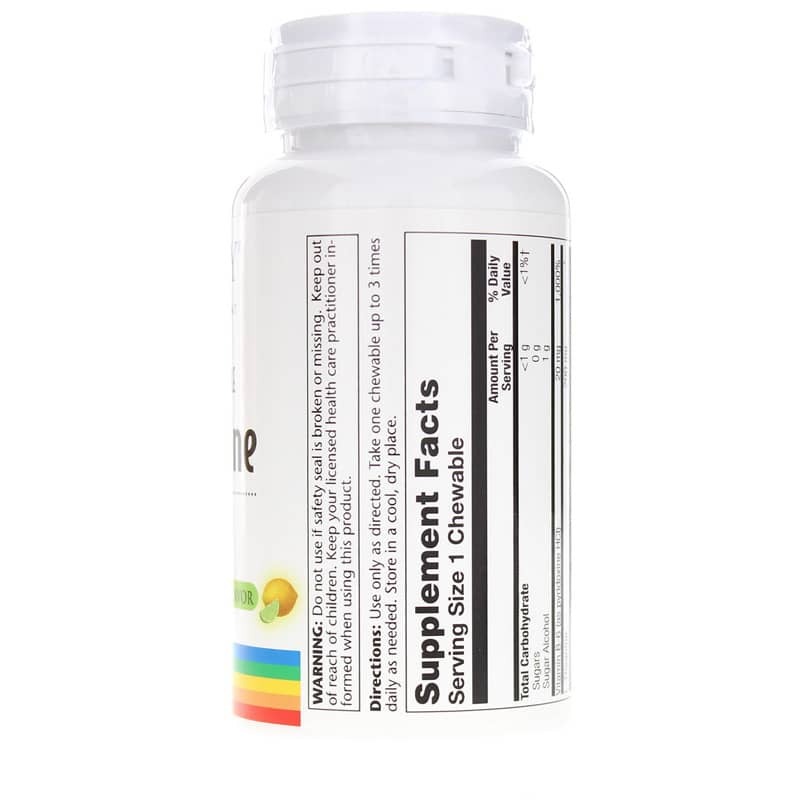 L-theanine is an amino acid that is found in certain mushrooms species and in tea plants, but is also available in supplement for form daily use. Solaray offers L-Theanine, a dietary supplement that provides 200mg of l-theanine and 20mg of vitamin B6 to help maintain optimal levels of health and wellness. 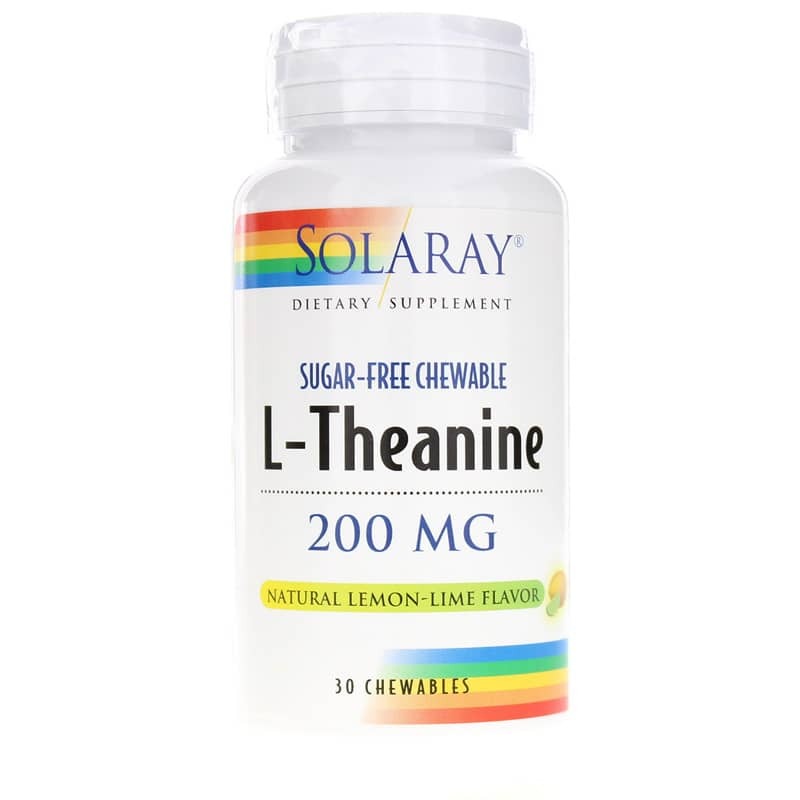 Solaray's L-Theanine comes in a convenient chewable that offers a great-tasting lemon-lime flavor you'll love. It can be used up to three times every day in support of healthy cell function and relaxation. Give it a try today, and stay on the natural pathway toward optimal overall health and wellness. Order yours now! 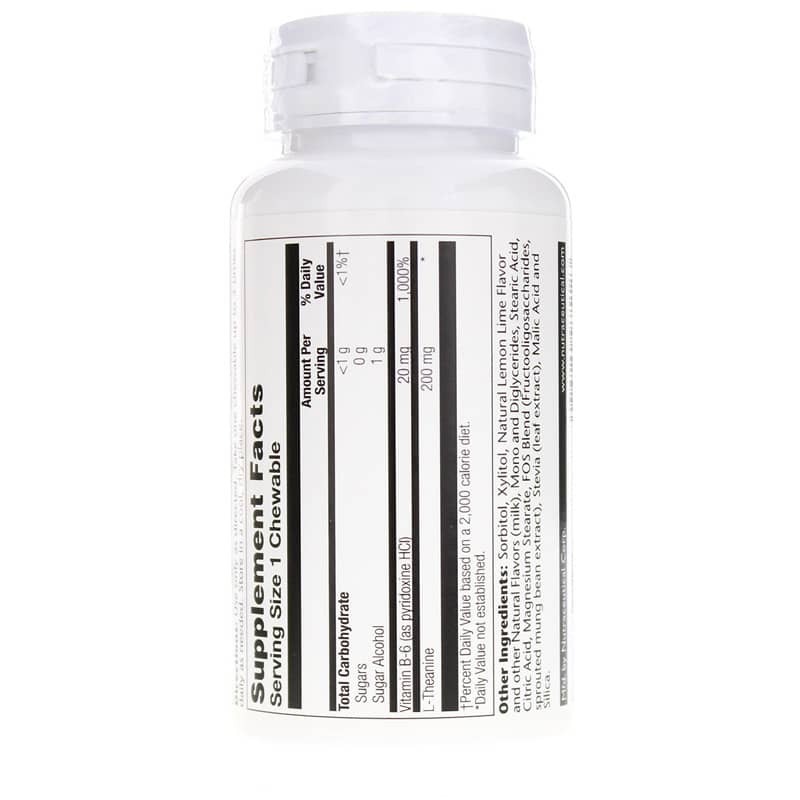 Other Ingredients: sorbitol, xylitol, natural lemon-lime flavor and other natural flavors (milk), mono and diglycerides, stearic acid, citric acid, magnesium stearate, FOS blend (fructooligosaccharides, sprouted mung bean extract), stevia (leaf extract), malic acid and silica. Adults: Use only as directed. Take one chewable up to 3 times daily as needed. Keep out of the reach of children. Keep your healthcare practitioner informed when using this product.